Dive into our large heated pool (15x5m) or lounge in the smaller pool, located closer to La Bastide. 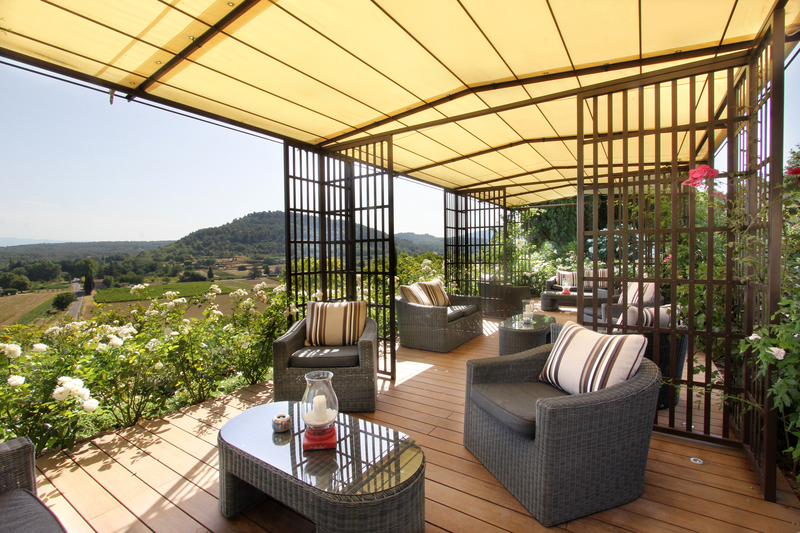 Enjoy a cool afternoon drink, under the cool shade and take-in the breath taking views of Mont Ventoux and the village of Gordes. An outdoor hot tub near the pool will offer moments of pure relaxation. If you are allergic to cats, we must notify you that we have permanent cats residents at La Bastide. They do not have access to the bedrooms but you may come across them in the public areas and garden.